This is quite a loaded question really, and we are going to break things down into sections to make it easier to understand how a rat infestation really could impact your life. The situations we about to tell you about might seem like something out of a B-movie horror story, but they CAN and WILL happen. 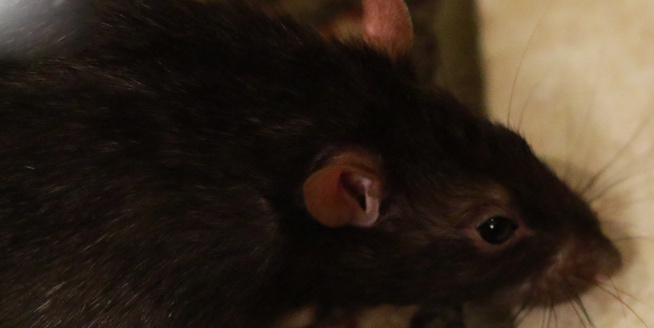 These are just a few of the reasons why you wouldn’t want a rat infestation, and also why you should deal with a ra problem as soon as you realize you have one. Rats can hurt you because they can spread disease. Rats are well-known to be quite dirty creatures, and this is because they are partially responsible for he spread of the plague. This is a disease rarely found these days, thankfully, but rats are still responsible for the spread of a number of diseases. Rabies is not usually a problem, with cases of rats having rabies being rare, and cases of rats passing rabies on to humans and other animals even rarer. Weil’s Disease, or Leptospirosis, is a dangerous disease, however, and this can affect both humans as well as household pets and other animals. As well as hurting you, these rats could spread disease to your beloved family pets. Rats can hurt you because they’ll attack when cornered. If you come across a rat in a room, there’s a good chance you won’t get anywhere close to it because it will have scampered off. It will probably have found a tiny hole somewhere to crawl through, and you will have lost that rat forever, somewhere deep in your home. If you have a rat in a cage, however, that rat would attack you. You have it cornered, and it has no where else to go. If you put your fingers or hands anywhere near the trap that contains the rodent, it will scratch and bite. Once again, you have the threat of disease to worry about, Rat Bite Fever included, and you will then also have an injury. Rats can hurt you because they’re expensive to clean up after. Okay, so this isn’t exactly an actual pain, but when you hear about how much clearing up and repairing after a rat infestation can be, you’ll be crying like you are in pain. Rats can chew through almost any material in your home - electrical cables, wooden foundations and beams, siding on your home, plastic pipes … the list is actually extensive. The rat could chew through pipes that carry fluids, and these might flood your home. The rat could chew through electrical cables that short-circuit your home and require re-wiring. The rat might also move around attic insulation, using it as bedding and nesting material, and also causing live electrical wires to come into contact with the flammable insulation. This poses a fire risk. So, in that sense, a rat can definitely hurt you and the rest of your family. Rats can hurt you because they can cause havoc with vehicles. If you have rats in your garage, they can get into your car. They can crawl into the engine compartments and other sections and chew through cables and wires. What happens if they chew through your brake cables? Once again, you have a very serious risk to you and your family. Rats CAN hurt you. Perhaps not in quite the way that you might have first thought, but with lots of little knock-on effects that you might not even be aware of at the beginning. Do yourself a favor and do a little inspection of your home and property. If you see rat droppings, or any other signs of rat infestation, it might be time for you to do something about it. Go back to the Rats in the Attic home page. You can also read about Do rats attack human necks? or Do rats bite humans in their sleep? or What if you are bitten by a rat.